Framing paper patterns is a great way to create inexpensive artwork. 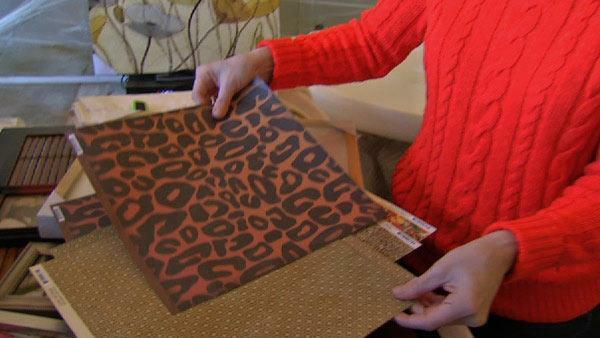 You can pick paper to help draw a color theme together in a room. You can also mix framed paper with framed photos. Just make sure the frames match. Another option- use the paper as a mat and add your photos to it.